As promised last week, I spent some quality time simplifying a small corner of my life. With the changing season I decided to start with my own closet, since it tends to get done last...I only had two hours to dedicate, but it felt good to tackle it. The task wasn’t exactly enlightening, but I set the mood by blaring some Brett Dennen. Then I created two bags, one for consignment and one for Goodwill donation. Everything seasonal was consolidated to fit in one big bin. 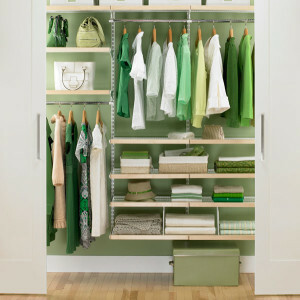 Alas, my closet still doesn’t look like this, but it is significantly better. On an ongoing basis my best green closet practices is to limit dry cleaning, and I’ve been using these easy tips for washing “dry clean only” items. Washing and ironing at home certainly saves us each month! 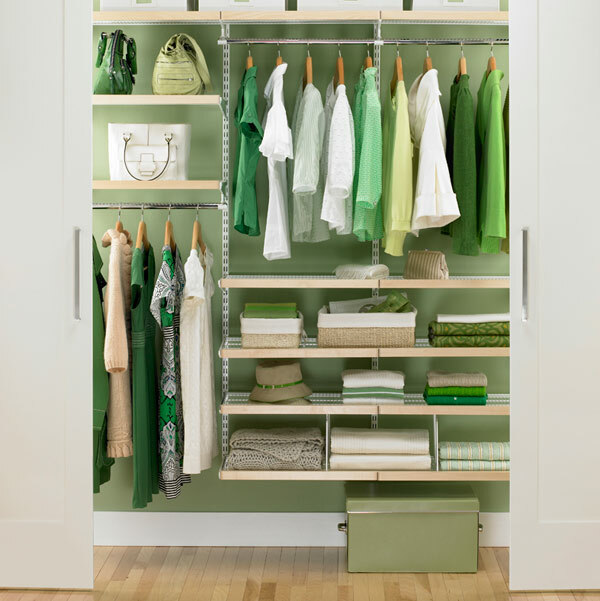 How do you create a greener closet? The story of a family creating an abundant and sustainable life. This entry was posted in home economics on October 19th, 2010 by Darcy Cronin. I'm a Mother/Coach/Blogger/Business Adventurer from Portland OR. My family consists of my Hubby of 12 years, our 8yo Kieran, 5yo Makenna, and 1yo Teagan. I love dreaming about a better future, and making it happen. It might be a small corner of the house, but ever so important. You’ll feel better cleaning house.